If you cook, you probably have a love-hate relationship with garlic. Sure, you love eating it — raw in a summery pesto, tucked under the skin of a crispy chicken, enhancing the flavor of soups and stews. On the other hand, you hate preparing it. You’ve tried all of the popular solutions and found them all lacking. Presses leave too much garlic behind. Hand chopping contaminates the cutting board for days — and besides, it’s annoying the way the garlic sticks to your knife and stinks up your fingers. Using a food processor is fine — as long as someone else does the dishes. It is exactly this problem that attracted us to the GarlicZoom. Simply peel your garlic clove, put it in the Zoom, and roll. 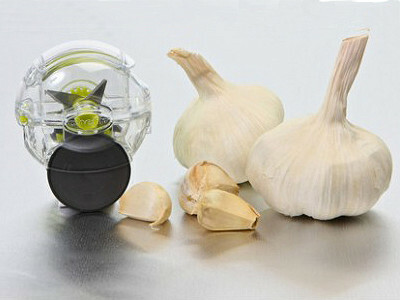 Rubber wheels activate stainless steel blades that turn out perfectly chopped garlic. Use the garlic in your favorite recipe, then pop out the removable stainless steel blade and put the whole thing in the dishwasher. This fun, easy to use, easy to clean, and fast tool may just improve your relationship with garlic. How does love-love strike you? Watch the GarlicZoom in action in our video. If you cook, you probably have a love-hate relationship with garlic. Sure, you love eating it — raw in a summery pesto, tucked under the skin of a crispy chicken, enhancing the flavor of soups and stews. On the other hand, you hate preparing it. You’ve tried all of the popular solutions and found them all lacking. Presses leave too much garlic behind. Hand chopping contaminates the cutting board for days — and besides, it’s annoying the way the garlic sticks to your knife and stinks up your fingers. Using a food processor is fine — as long as someone else does the dishes. It is exactly this problem that attracted us to the GarlicZoom. Simply peel your garlic clove, put it in the Zoom, and roll. 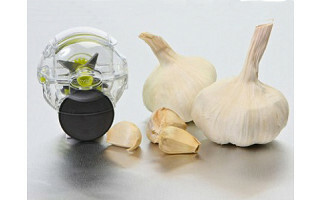 Rubber wheels activate stainless steel blades that turn out perfectly chopped garlic. Use the garlic in your favorite recipe, then pop out the removable stainless steel blade and put the whole thing in the dishwasher. This fun, easy to use, easy to clean, and fast tool may just improve your relationship with garlic. 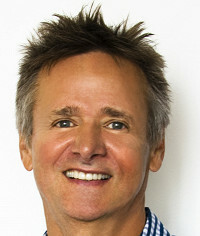 How does love-love strike you?